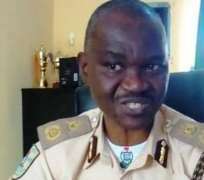 The Comptroller of the Nigeria Immigration Service (NIS), Osun State Command, Mr Adebowale Idowu has said that the two Togolese, Ametchonwoun Alexandre Adodo and Awoudya Yao Francis who attempted to obtain Nigerian international passport to travel to Kenya would soon be arraigned in Court and prosecuted accordingly. Mr Adebowale Idowu said the suspects who used fake local government identification from Badagry in Lagos State were caught when they visited the immigration command in Osogbo for capturing. In a chat with The Nigerian Voice, the suspects confirmed that they came to Nigeria without documents and that they were introduced to Ajibola to get international passport for them to move to Kenya to seek job.